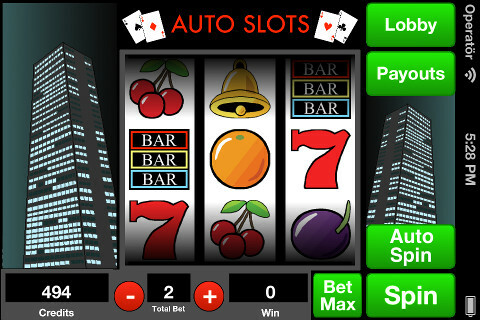 Auto Slots is an implementation of the classic 3-reel slot machine with authentic sound effects. 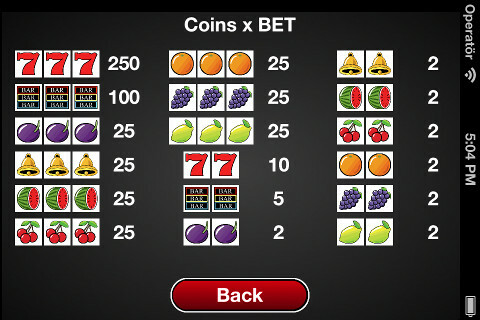 It comes with many useful features for true slot fans. A slot machine, fruit machine or poker machine is a casino gambling machine with three or more reels which spin with the click of a button. A slot machine is also known as a one-armed bandit, since they originally had a lever on the right side. Spin the wheels using the spin button or use the auto spin feature! 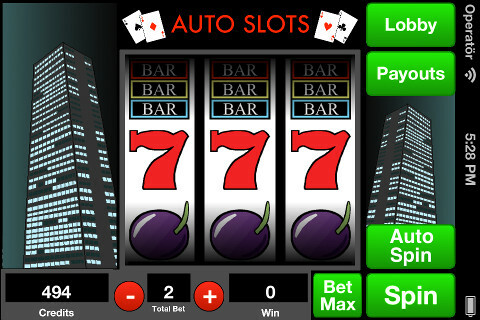 Auto Slots has been developed to simulate the reel motions of a classic slot machine. This product is intended for those 21 or older for amusement purposes only. 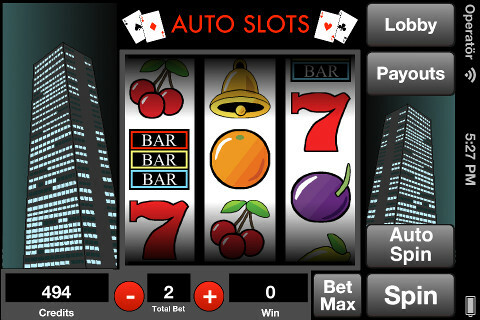 ● A complete slot machine in your pocket. ● Easy to play with many convenient features. ● Authentic high-quality sound effects. Only play if you have reached the respective legal age required in your country of residence. Download this game today! It's free.